How do I document the high performance features for appraisal? Is help documenting high performance available in Vermont? Why do some high performance homes have appraisal difficulty? What if there are not good sales comparisons? Is there a right to a competent appraisal? Are there any appraisers with appropriate knowledge and training in Vermont? What communications are allowed with an appraiser under the lending guidelines in the Dodd-Frank Act? Will hiring a qualified appraiser ensure that sufficient contributory value for energy efficiency or renewable energy systems is realized? How do I ensure that the high performance features of my home are included in an appraisal? On what grounds and how does one challenge an appraisal? Education Committee and HBRANV member and friend, Jeff Gephart, has been working on the forefront of the appraisal of high performance homes for the past ten years. Jeff has been instrumental in pushing the Appraisal Institute to implement rules appraising homes based upon their energy efficiency as well as ensuring that there are certified appraisers in our area who are available to give high performance builders an appraisal which values the benefits of these homes. This page will summarize the available resources to you if you are building a new high performance home or doing a deep energy retrofit to an existing home. It is in the form of a FAQ. First and foremost, the information to provide should include a completed Appraisal Institute Residential Green and Energy Efficient Addendum (all homes, new and existing). The objective of this Addendum is to standardize the communication of the high performing features of residential properties. Identifying the features not found on the [Uniform Residential Appraisal Report -URAR] 1004 form provides a basis for comparable selection and analysis of the features. Builders, contractors, homeowners, and third party verifiers are encouraged to complete this Addendum and present to appraisers, agents, lenders, and homeowners. The HERS Index Score is an ideal tool for appraisal use and of particularly high value is the calculation of the home’s annual energy savings as compared to a minimum code-built home. That net present value of the energy savings may support adjustments to the Sales Comparison Method of appraisal by enabling use of the Income Capitalization Method of appraisal. Yes indeed, Efficiency Vermont services and those provided by collaborating contractors provide expert technical assistance and 3rd party verification of the energy efficiency a home achieves for both new and existing homes. Additionally, assistance with national energy efficiency and green certifications is also available in Vermont. Numerous options exist in Vermont for independent, 3rd party verified home performance documentation through Vermont’s statewide energy efficiency utility, Efficiency Vermont. Why do some high performance homes have difficulty with their appraisal? Energy efficiency can be overlooked in the appraisal process for a variety of reasons, including a lack of access to quality data, underwriting impediments, and lack of appropriate appraiser qualifications. Many appraisers are not aware of the unique features of an energy efficient home. In Vermont it can be very difficult to find good sales comparisons for high performance homes. Many of our highest performing homes are custom built and are not the type of arm’s length sales transaction needed for a sales comparison analysis. To appraise high performance homes appropriately, the appraiser needs data that enables them to use all three methods of appraisal. Most common method used as it is required by Fannie Mae, Freddie Mac, FHA, etc. Data is collected on recent sales of properties similar to the subject being valued, called "comparables". Only SOLD properties may be used in an appraisal and determination of a property's value, as they represent amounts actually paid or agreed upon for properties. Sources of comparable data include real estate publications, public records, buyers, sellers, real estate brokers and/or agents, appraisers, and so on. Important details of each comparable sale are described in the appraisal report. Since comparable sales are not identical to the subject property, adjustments may be made for date of sale, location, style, amenities, square footage, site size, etc. The main idea is to simulate the price that would have been paid if each comparable sale were identical to the subject property. If the comparable is superior to the subject in a factor or aspect, then a downward adjustment is needed for that factor. Likewise, if the comparable is inferior to the subject in an aspect, then an upward adjustment for that aspect is needed. The adjustment is somewhat subjective and relies on the appraiser's training and experience. From the analysis of the group of adjusted sales prices of the comparable sales, the appraiser selects an indicator of value that is representative of the subject property. It is possible for various appraisers to choose different indicator of value which ultimately will provide different property value. Less common but likely most appropriate as secondary evidence for adjustments for a highly-energy efficient home where comparable homes don’t exist. Commonly used with income generating properties. Though uncommon, use of this approach is appropriate in support of adjustments to the Sales Comparison Approach when energy savings are credibly documented as an income stream. Appraisers without training in appraisal of high performance homes will likely have difficulty identifying Comparable Sales and difficulty using the Cost and Income Capitalization Approaches. They will also find it difficult to assess trends evident in a given market. Recognition of, and compliance with laws and regulations that apply to the appraiser or to the assignment…includes familiarity with a specific type of property. Further, unlike under USPAP’s minimum competency requirement, if the lender intends to sell the mortgage in the secondary market (e.g., Fannie Mae, Freddie Mac, FHA), acquiring the necessary competence while performing the assignment is not allowable. So in that instance, an appraiser must be competent to accept the assignment or must turn it down. Are there any appraisers in Vermont with appropriate knowledge and training? 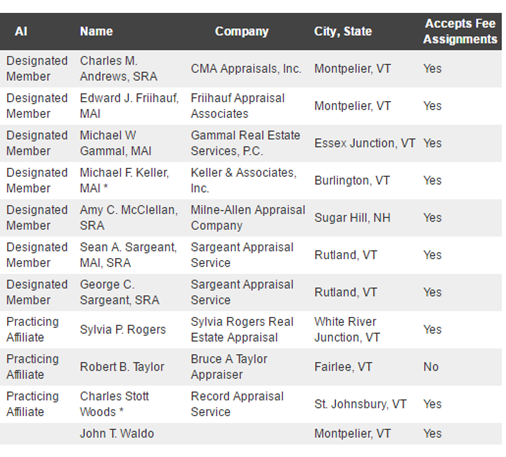 AI’s Registries (both Residential and Commercial – use search by state) list Vermont appraisers who have successfully completed course work and exams within the Appraisal Institute’s Valuation of Sustainable Buildings Professional Development Program. A Registry listing requires 28 hours of course work and passage of three exams for residential appraisers and 35 hours of course work and passage of three exams for commercial appraisers. This Registry enables lenders or their Appraisal Management Company to draw appraisers from a pool of qualified appraisers for an appraisal on a high performance and/or “green” home. For many parts of the state, a lender’s purchasing agent or Appraisal Management Company can now hire an appraiser from this Registry without needing to quiz them as to their experience or competence with this type of complex valuation assignment. In the near future Vermont Realtors® (our National Association of Realtors® state chapter) will also host a Registry. This local registry, the Energy Efficient Professionals Qualifications Registry (EEPQR), will list appraisal and real estate sales professionals in Vermont that complete a minimum of 7 hours of state-approved, continuing education courses about energy efficiency and renewable energy to be considered for the Registry. These courses are being designed to meet or exceed national and state standards for core competencies in appraising and selling “green” or high performance homes. 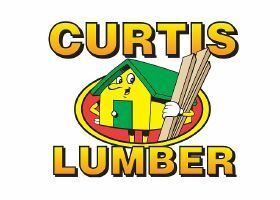 Once the coursework is completed, an application will be submitted for review by a Vermont Realtor’s® EEPQR committee. Vermont Realtors® will recognize the Appraisal Institute’s Valuation of Sustainable Buildings Professional Development Program’s Registries and invite those appraisers with AI Registry listings to apply for EEPQR listings. Calypso Continuing Education in Randolph, VT will soon be offering a state-approved, 7-hour online continuing education course on appraising high performance homes. What communications are allowed with an appraiser hired by the lender under the lending guidelines in the Dodd-Frank Act? Few lenders have seen or heard of the Residential Green and Energy Efficient Addendum and some may claim that they have to pick appraisers off their rotation lists. The Residential Green and Energy Efficient Addendum puts the lender on notice that you have a complex appraisal assignment and they need hire a competent appraiser Dodd-Frank banking reform act prohibits them from involvement appraiser hiring. The prohibition pertains to loan officers and others whose income is tied to the loan, not their purchasing department or a hired Appraisal Management Company (AMC). With the routine provision of appropriate data documenting energy efficiency and renewable energy features along with loan applications lenders and AMCs will start asking about an appraiser’s course work and experience in valuing high performance or green properties. Though the borrower will be charged for the cost of the appraisal, it is the lender that must hire the appraiser to develop the appraisal and to develop an opinion about home value. You may hire a qualified appraiser to help prepare the appropriate documentation for provision to a lender-hired appraiser. However, any appraiser you hire cannot also work for the lender on the same appraisal. Note that in addition to competence with specialized property types, appraisers need geographic competence in the market where the home is located. The market must be convinced that renewable energy and high-performance building features have value. Though it’s great if they are, it is not the appraisers’ responsibility to be an advocate for energy efficiency or renewable energy. Developed by the Appraisal Institute and Building Codes Assistance Project (and since endorsed by the NAHB), Appraised Value & Energy Efficiency: Getting It Right explains to real estate professionals and lenders why the appraisal of high performance homes is a complex appraisal assignment and, for Architects, builders, home performance contractors, and sellers how to proactively prepare customers/buyers for loan applications and appraisals. Use the procedure described and modify and use the buyer and lender template letters contained in Appraised Value & Energy Efficiency: Getting It Right. Modifications to these template letters should be made to describe the salient features and benefits of a home (e.g., home is a net zero energy home with a HERS Index Score of 0, home is 30% more energy efficient than a home built to minimum required RBES specifications, home has been renovated to meet current RBES energy specifications, etc.). Provision of the lender cover letter along with the Appraisal Institute’s Residential Green and Energy Efficient Addendum and supporting attachments puts the lender on notice that this is a complex appraisal assignment and that the lender needs to ensure they hire a competent appraiser. It is important to share this information with prospective lenders at the earliest opportunity and for the loan applicant to be clear with the lender that they will be asking any appraiser contacting them or their builder to schedule an appraisal that they will be asking questions to ensure that the appraiser has appropriate knowledge and experience to perform a complex appraisal of this specialized property type. • How many hours of energy efficiency and green building education has the appraiser completed? Sandra Adomatis states that 14 hours is appropriate based on the Appraisal Institute's “green” courses. • What is their actual experience appraising green homes? • Is the appraiser familiar with the Residential Green and Energy Efficient Addendum? PV Value? • Ask if the appraiser uses net present value to calculate the energy savings revenue stream, what are the assumptions, methodology and duration for the savings? • Does the appraiser subscribe to the local Multiple Listing Service (MLS)? If no, this causes concerns about competency above and beyond energy efficiency and green building. Where are they getting their data? The MLS serving all of Vermont is the New England Real Estate Network (NEREN). NEREN has recently updated their 3rd party verified green fields and can document the ratings, scores, Profiles, and other 3rd party verified building certifications available in Vermont. NEREN also maintains database provided by Efficiency Vermont that lists the address of all homes participating in Efficiency Vermont’s Residential New Construction Service (since the fall of 2010) where a Home Energy Rating (HERS) Index Score is provided, the Index Score, any 3rd-party verified building certifications earned, and the date of completion in the Efficiency Vermont service. If the buyer or builder doesn’t get satisfactory responses from an appraiser they should not schedule the appraisal and should immediately contact the lender to discuss their concern about the appraiser’s lack of knowledge and experience with high performance homes. Do not approach the appraiser directly – you are not the appraiser’s client. The lender is. The borrower should ask the lender for a “Reconsideration of Value,” which is a formal request that lenders must track and respond to. The borrower will most likely have to pay for any second appraisal. These frequently asked questions and the answers provided were developed for the Home Builders and Remodelers Association of Northern Vermont’s Education Committee by Jeffrey Gephart on behalf of Efficiency Vermont (an HBRANV member) and are based on the work of the Vermont Green Home Alliance. Of critical importance to their development is the work of The Appraisal Foundation, the Appraisal Institute, Building Codes Assistance Project, RESNET (HERS), U.S. Dept. of Energy (HES), Brad Hevenor, MAI, Markus Appraisal, and especially appraiser, educator, author, and advocate, Sandra K. Adomatis of Adomatis Appraisal Service as they have played major roles in developing an understanding of the problems faced and solutions needed to ensure energy efficiency and renewable energy information is available and properly used in real estate appraisal. The Vermont Green Home Alliance’s mission is the transformation of the real estate market so that buyers and sellers can identify and accurately value energy efficiency and renewable energy benefits.